Scott & Ryceejo are a music duo based out of Orem, Utah. Scott David Shattuck and Ryceejo Nordstrom Shattuck are husband and wife and enjoy creating fun, contemporary a capella covers together, as well as occasionally producing their own acoustic songs. 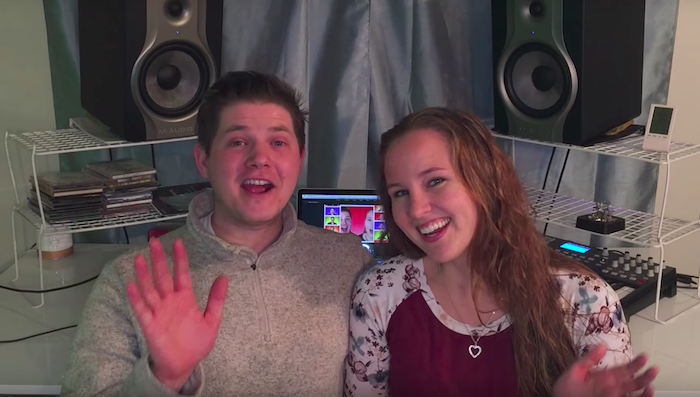 The couple first appeared performing together in a YouTube video in 2015 where they covered Pentaonix’s “The First Noel.” The next year Scott & Ryceejo released a a full-length a capella CD titled La La Love. They have continued to record covers and their own original acoustic songs ever since. Their music can be found on Spotify and fans can support their videos through their Patreon page. Originally from Alpine, Utah, Scott is an accomplished performer, arranger, and music producer. He studied music production at Brigham Young University and was a member of the university’s popular a capella group, Vocal Point, while attending. He enjoyed a capella and decided to make it his primary focus. Ryceejo also attended BYU where she studied psychology and a minor in music. Originally from Riverside, California, she is a talented singer, pianist, organist and musical director. Ryceejo is also the social media manager for Scott & Ryceejo. Scott & Ryceejo met while performing in BYU’s Concert Choir. Ryceejo was just about to leave on an LDS mission, and the two kept in touch through email and letters while she was serving. A year after Ryceejo returned from her mission the two were sealed in the Newport Beach LDS Temple. The two acknowledge that the real source of their talent comes from Heavenly Father. They enjoy using their gifts to bring joy to those around them and said that they hope to bring happiness to a world that is full of stress and anger. They want others to benefit from their music, not just themselves. Visit Scott & Ryceejo’s website to learn more about the duo.